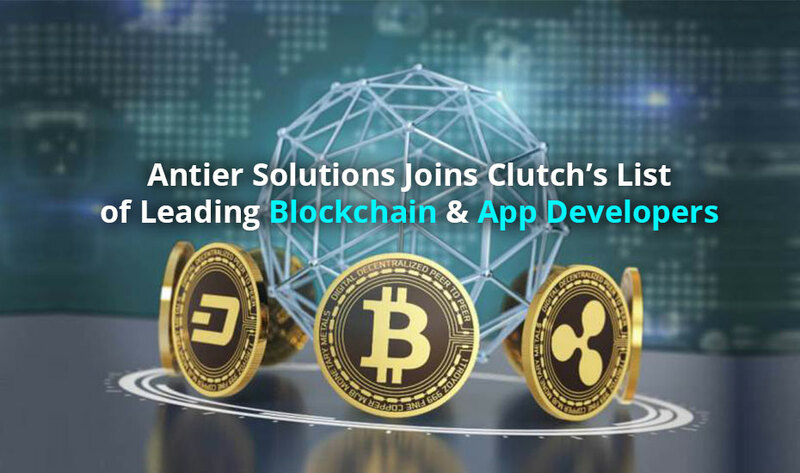 Antier was started with an aim to provide bespoke application development services 15 years ago and for last 3 years we have been focusing completely on blockchain. Being an industry leader, our latest offering includes Security Token Offering. Apart from this, we also offer best “White Label cryptocurrency exchange software” along with “Biometric based crypto mobile wallets” which provides us with an edge over our competition in hitting the pinnacle of security by ensuring that our clients in full control of their assets. It’s not every day that we get to reflect on our growth as a company, but our recent feature on Clutch has given us the opportunity to appreciate just how far we’ve come over a course of time. Clutch is a platform for reviews based in Washington DC, and their mission is to provide accurate and thorough third party reviews for service providers in the IT services and development industries. They also have coverage of advertising, marketing, and branding agencies, but their most extensive coverage is of the world’s leading mobile app development companies. Our profile on Clutch is listed amongst thousands of other developers on the platform making it not an easy task to stand out as one of the best. For this reason, Antier Solutions could not be more excited that we’ve been distinguished as one of the leading Blockchain app developers, not only in India, but in the world. We’re also listed on their sister-site, The Manifest, as one of the best blockchain development companies in India! To distinguish ourselves on their listing, Antier Solutions has been valued for the market presence in the blockchain development space. From our established client base, to the list of services we offer, to the examples of projects we’ve completed on our website portfolio, our industry expertise was put to the test. Additionally, our ranking on Clutch is attributed to the reviews our clients have given us and it’s been so cool to receive such direct and positive feedback from our partners; it’s only motivated us more to keep doing what we’re doing. We could not be more appreciative of our clients’ willingness to speak to Clutch on our behalf and to continue selecting us as their provider for their development needs. We have full confidence that our presence on Clutch will only continue to rise as we continue growing and delivering quality work that both we, and our clients, can be proud of.